Become a member of the Rotterdam Student Golf Association R.S.G.A. Why should I start golfing today? Golf just for the elderly? Not at all! More and more students start golfing. Sociability is the most important thing at RSGA! The cheapest way to learn golf is as a student. We offer memberships and beginner courses at student discount. An important part of business life takes place at the golf course. Golf is a CV booster. Ready to get to know R.S.G.A.? Drop by at one of our practice evenings on Monday. Meet our members, have a drink and discover whether R.S.G.A. is something for you! Only for RSGA members. 16 hours of golflessons by a professional. First class rent materials and exams included. At the end of the course you obtain your golf license. Only 268 199 euros (less than €12.50 per hour!). There is no cheaper way to learn golf in Western-Europe. Become A R.S.G.A. Member Now. A home base we are proud of. We train every Monday night at the most beautiful driving range in the Netherlands: Seve Rotterdam. Well-lit, heated, balls popping up automatically and a fantastic bar and restaurant. Seve has a challenging PAR 3 course and good practice greens. Even Joost Luiten (the number 1 Dutch golfer) stops by regularly. Easy to reach by car, bike or public transport (15 minutes from Rotterdam Central Station with Tram 25). Our mission is to let students play golf inexpensive and without obligations. Apparently, we're doing a good job. We welcome a lot of new members every year. Every Monday we organize a practice evening at Seve. There is a golf pro presents who gives you tips and a drink afterwards. First round on us! The R.S.G.A. Open is the yearly highlight of our association at a beautiful course in the Rotterdam area. Seven other associations host a tournament as well. Where do I find R.S.G.A.? We train at Golfcenter Seve Rotterdam every Monday (except for holidays). Seve is located next to het 'Franciscus Gasthuis' hospital and is easy to reach by bike, car or public transport. It is only fifteen minutes from Rotterdam Central Station with Tram 25. The address is Kleiweg 480 Rotterdam. You can view the location in Google Maps on our contact page. Do I need my own golf equipment? Seve has a sufficient number of clubs and putters, which you can use at no extra charge. You are also free to bring your own equipment, like most experienced members do. 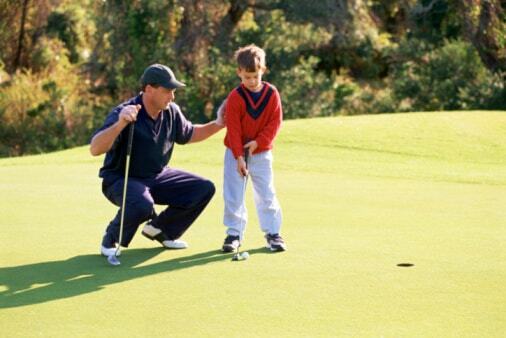 Are there golf lessons for beginners? Yes! We offer three golf courses for beginners. We recommend the total beginner package. You will follow both the Course Permission and the Seve 54 program. Upon completion you have your own golf handicap (golf license), so you can play anywhere in the world. Click here for more information about our lessons. 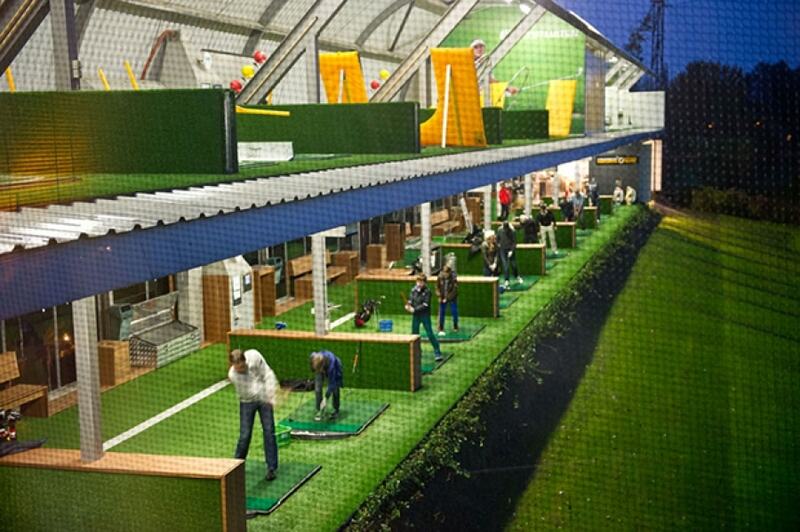 Every Monday we organize a practice evening at Golfcenter Seve Rotterdam. We get you some balls to hit on the driving range. Of course you're also free to put, chip or practice at the PAR 3 course. Afterwards we have a drink. The first round is on us! During the year we organize several competitions, the big shot is our Open Tournament. Furthermore there is a member weekend where we have a good time and play at a nice course in or just outside the Netherlands. R.S.G.A. has several sponsor opportunities. Please contact us for more information.